The luxury contemporary curved grab rail with concealed fixings. 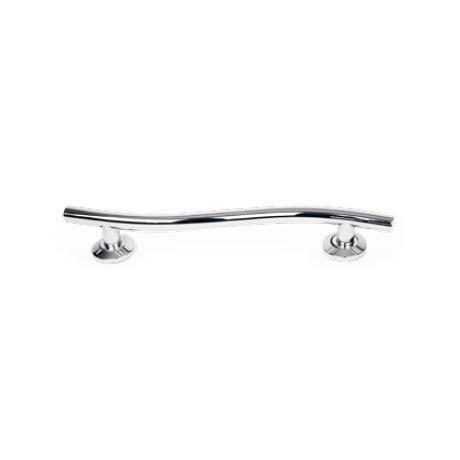 Add some luxurious support in the bathroom or around the house with these sleek curved grab rails. Our Luxury Curved Grab Rails feature an easy to grip handle, to provide reliable security. The fixing screws are hidden by the rails mounting disc for a neat finish. Available in 3 lengths. Q. Please would you tell me the diameter of your grab rails? The Euroshower luxury curved grab rails are 32mm in diameter. I am very happy with this item, it looks good and is very good quality. I needed a assistive hand rail as im not as strong as i used to be, but also wanted something that looks good and this fits the bill perfectly.